Wanderlust is a real phenomenon. Travelers yearn for vacations rivaled by no other, and we all crave the ability to brag about how amazing our trip was when we finally make it back home. We ache for a week or two of relaxation and wander in a place where all of our needs are met. What better way to do that than visiting the top resorts in the world? Beautiful scenery, blissful peace, and not having a single care in the world except what you’ll drink next. Traveling to resorts is the perfect way to experience a lively and carefree lifestyle in a brand new country. Resorts all over the world are offering all-inclusive experiences to save you from the stresses of the uncertainty of à la carte vacations and your regular life. Isn’t that the right way to spend a holiday? Resorts are an incredible option for a trip that fulfills all of your desires while you’re abroad. The best resorts in the world offer an unforgettable experience and will have you keen to head back for more. Where to start? We’ve done the work for you. Here are five amazing resorts all around the world you must visit at least once. Located in South Sinai with views of the Gulf of Aqaba and Tiran Island, this resort offers a quality experience with a mesmerizing and exotic atmosphere. With so many local attractions and popular activities including diving, markets, sports, spas, and entertainment of all kinds, this resort is sure to amaze you. Boasting elegantly furnished rooms and a multitude of culinary delights, Rixos Sharm El Sheikh is an ultra all-inclusive place for everyone of all ages. Rated highly, this resort offers a sweet escape with welcome packages including VIP transportation and amenities, and packages to make your dreams come true. Set on a tropical island with white sand beaches, this high-end seafront resort is a short distance from the Nasir International Airport. Chic, contemporary rooms open up to crystal clear lagoons. Luxe villas with private pools make your vacation even more lavish. You’ll be spoiled with your choice from any of the resort’s eight restaurants, offering impressive culinary savviness. With some of the best live entertainment in the Maldives, you’ll hear some of the best local musical talent staying here. With continually revitalized offerings, Kurumba stays faithful to its roots by offering traditional Maldivian experiences to its guests. A resort full of surprises, lively entertainment, and smiling faces is sure to give your holiday a boost. Within ten minutes of touchdown, you could be holding a cocktail in hand, toes in the sand, feeling the refreshing ocean breeze enveloping your body. A visit here will offer a lifetime of memories. This isn’t a resort—it’s an experience. With excellent food and guided excursions, guests can get up close to exotic wildlife on both land and water. There are only nine tents available at this destination; surely an exclusive and intimate experience, steeped in wonder and magic. A grand and personally designed safari is in the books for anyone looking for a trip no one you’ve met has experienced before. Committed to sustainable, responsible travel, conservation, and community empowerment, AndBeyond has been globally recognized, winning multiple awards. Highly skilled guides and rangers will take you through the ethereal camp and intricate water channels, exploring the myriad islands of the Delta, embarking on exceptional game drives. This setting is wonderful for health and relaxation, and is a perfect destination any time of the year. At the southernmost tip of the world you will find Patagonia, Chile. Anchored like a white ship on the shores of turquoise Lake Pehoé, this unique location places travelers in the middle of the Torres Del Paine National Park. Here, you can embark on guided hikes and horseback rides to see breathtaking views of glaciers, lakes, and mountains. Details, simplicity and joys of life are central elements to Explora. The hotel is built to link man to the mysteries of nature, actively introducing the natural architecture of the space to visitors, allowing guests to inhabit this remote location. Quality ingredients bring pure flavors to the food at Explora, and meals are designed to enable guests to perform explorations while still feeling light, agile, and healthy. Each meal is accompanied by a superb Chilean wine, and the bar is a frequent meeting point for returning travelers. Experience everything from spa to stable at this incredible location, and experience the trip of a lifetime. Surrounded by a wonderland of coral, this private resort rests in the midst of a celestial blue sea. Arrive in style by yacht, private air, helicopter or seaplane transfer to this amazing and remote location. This resort is a perfect opportunity to satisfy the desire for escape and adventure. This specific area in Australia has been captured the imaginations of millions in its history and shows no signs of stopping. This natural world can be explored through complimentary water sports, with private tours available upon request. Spend your day outdoors, actively absorbing your surroundings, and spend the evening relaxing in world-class spas and outdoor restaurants with unparalleled ocean views. 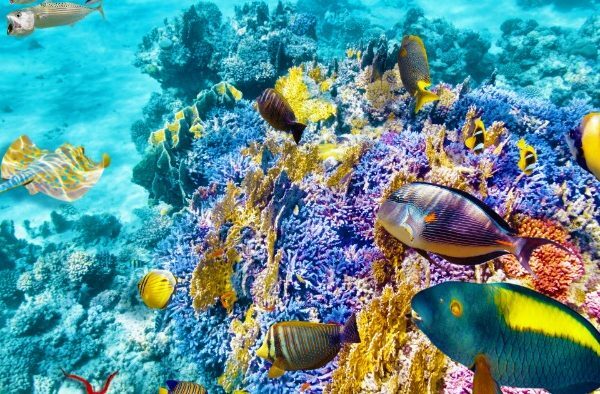 With a tropical climate year-round, this enchanted resort in the Great Barrier Reef is unforgettable. It’s no doubt that resorts offer a vacation worth remembering. From places you can lounge all day to spaces you can explore, there is a resort for every personality all over the world. If you’re flying to a destination with class, you may as well live and travel in the same way while you’re gone. We encourage it.